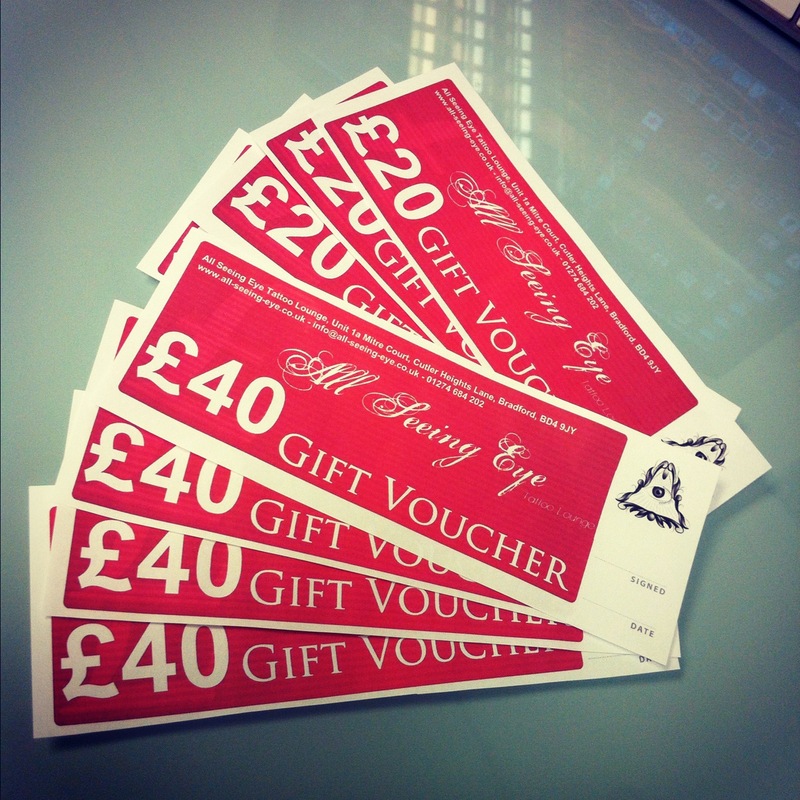 Win a FREE TATTOO in our Christmas draw!! Your chance to win a FREE TATTOO!! As it is Christmas coming, I wanted to do something pretty special and so I am going to give away upto full days tattooing absolutely FREE to one lucky winner, to be done just before or just after Christmas (whatever suits the winner best). That’s it! The winner will be plucked out of a hat at random and announced on here. I’ll probably do a little vid of this so you can see it’s all fair! 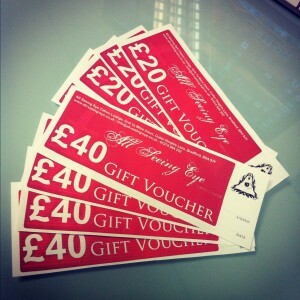 We now have tattoo gift vouchers available. These can be purchased either by popping into the shop or by PayPal (email us for more details – info@all-seeing-eye.co.uk). Ideal present for the tattoo lover for Birthdays, Christmas or any other special occasion! The All Seeing Eye Tattoo Lounge is situated in Bradford, West Yorkshire. We’re out of the town centre but are easy enough to find. We also have free private parking space and flexible(ish) hours!